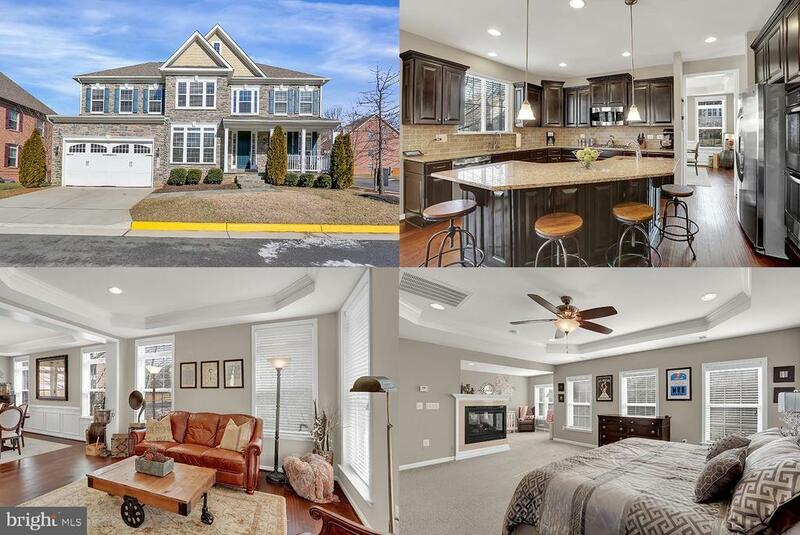 Your Dream Home in the heart of Fairfax is located in sought after Royal Legacy community. This Elegant home features a full stone exterior with large front porch to enjoy quiet evenings in your cul-de-sac. The spacious eat-in gourmet kitchen offers a large breakfast bar island that opens to the family room with a breath taking stone fireplace. The main level features a large office/library and stunning wide-plank hardwood floors. The 2-story foyer leads to the bedroom level with 3 Large bedrooms and a Luxury Master Suite featuring a sitting room, tray ceilings with a gas fire place and Wet Bar. The Spa like master bath offers a retreat to relax from your day. Lower level offers a huge Rec Room with a full bar and Large 5th Bedroom and Full Bath. A short walk will allow you to enjoy all the Luxury that Old Town Fairfax has to offer. Plenty of biking and walking trails are available for you to enjoy. Conveniently located to shops, restaurants and entertainment at Fairfax Commons, Fair Oaks Mall, Tysons Corner, Vienna, George Mason University and MUCH MORE!